You Won’t Believe What This Erupting Volcano Has Revealed! It is no surprise that volcanoes fascinate a lot of people. Volcanoes are so fascinating because they don’t just explode magma and lava. Instead of retreating to a safe distance, brave and committed soldiers move even closer to ground zero when a massive volcano eruption occurs. But in line with this, would a person go as far as flying a drone into and around the volcano’s crater just to get a closer look at its dynamic red orange lava? According to these pictures, yes! How sure are we, though, that those drones are just the work of “fascinated” Earthlings? On April 22, 2015, a volcano in Los Lagos, Chile has erupted, wreaking havoc on the Chilean residents and their resources. An estimated number of 4000 people in the 20km radius were told to vacate the danger zone. Flights to the country as well as to neighboring countries Uruguay and Argentina were cancelled. 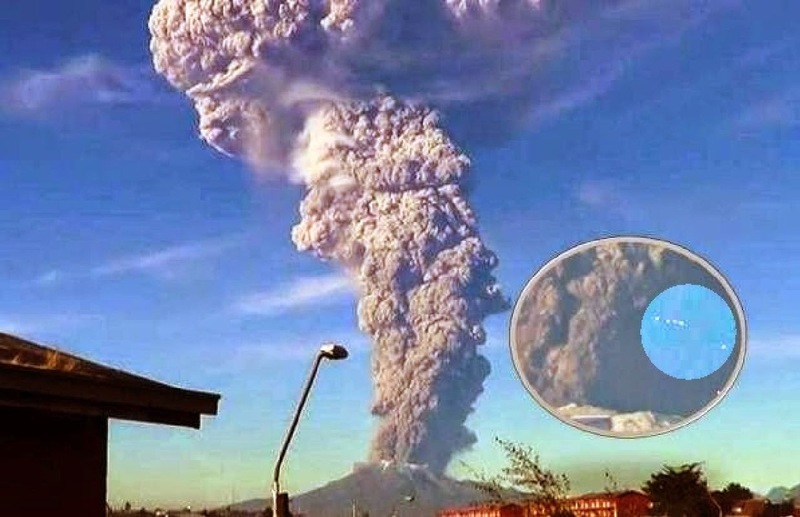 Calbuco has been inactive for about four decades and now people were thinking, why so sudden? 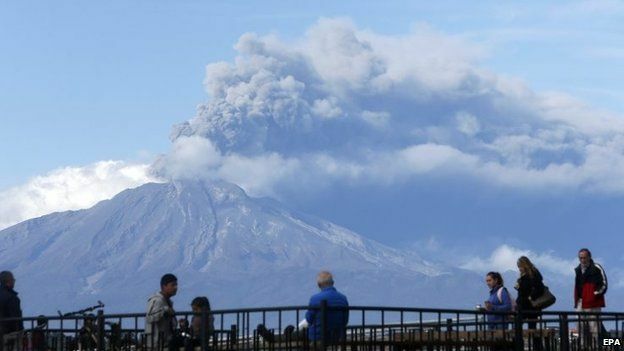 Within eight days, the volcano erupted three times. The first one, which was the biggest, lasted for about 90 minutes, shooting generous plumes for as far as 10 km. In this day and age, people have developed advanced technologies that allow us to predict a natural calamity before it happens and measure to what extent our world will be affected by it. We have advanced equipment that allows us to gather all the information necessary to protect our planet from inevitable hazards. Volcanic activity is foreseen through irregular gas emissions, steam explosions, earthquakes, and dynamic seismic readings, to name a few. These are all signs shown by a volcano that is about to erupt, so how exactly did the Calbuco volcano get past us unnoticed? That is the question. That is the mystery. There was not a single indication, not even a little hint, that this volcano would unleash its fury after four decades of silence. 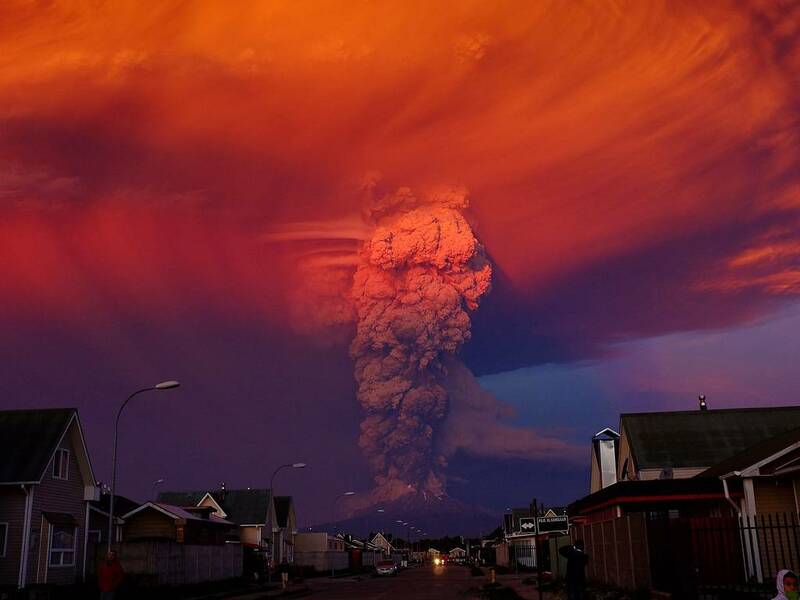 Media outlets all over the world have been broadcasting the news of Calbuco’s sudden eruption and distributing images of the massive outburst. Smoke and clouds of ash dominate the view, but something else has spurred controversy online. A footage of the event was posted on the internet, and it caught a couple of flashing entities hovering in the sky. At this point in time, we can only speculate what those objects are. Are these figures man-made or extra-terrestrial? What do the UFO experts say? 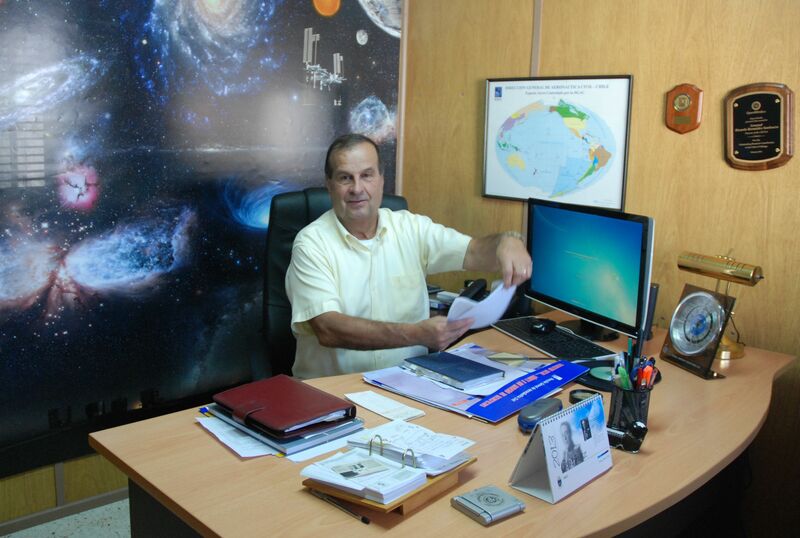 Chile actually has a separate government division which keenly investigates reports of extraterrestrial objects. It is called the Committee for the Studies of Anomalous Aerial Phenomena or the CEFAA. Because of these UFO reports and claims, people are now speculating that the unexpected volcanic eruption was directly caused by aliens. There is no definite explanation nor a single lead, yet it has become a popular theory, spreading like wildfire across the interwebs. Weird aircrafts were seen in that video, and whatever those are, we all want to know. Reporters and cameramen have detected and recorded UFOs forming a line. The floating lights were hovering towards the erupting volcano, as if they were “observing” it. A cameraman who captured the footage said it did not look human or man-made. 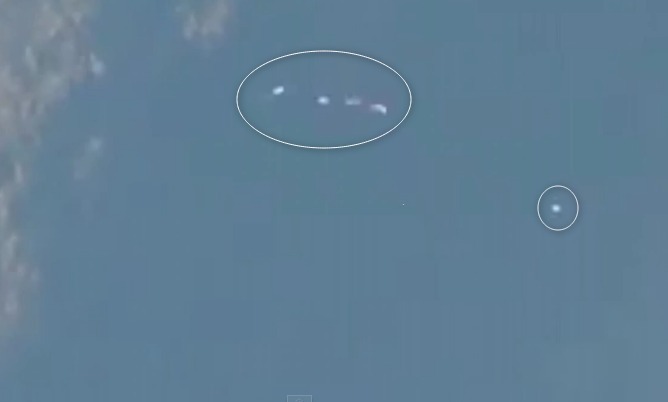 Could these entities be the cause of Calbuco’s outburst or were they just passers-by recording activities on earth? Of course, people have their own interpretations of this phenomenon. Some skeptics say that these images are just hoaxes and products of a master Photoshop artist. They say the lights could belong to airplanes or rescue helicopters. It could just be a huge optical illusion, designed to fool the masses. It could be this, it could be that. Nobody can really tell, but the possibilities remain endless.